Monday again and only 9 days til Christmas. Hope you’re all feeling super organised! Although I haven’t made as many handmade gifts as I wanted to there has been lots of Christmas crafting. Our house is very twinkly and pretty and the tree is beginning to lean with the weight of decorations. 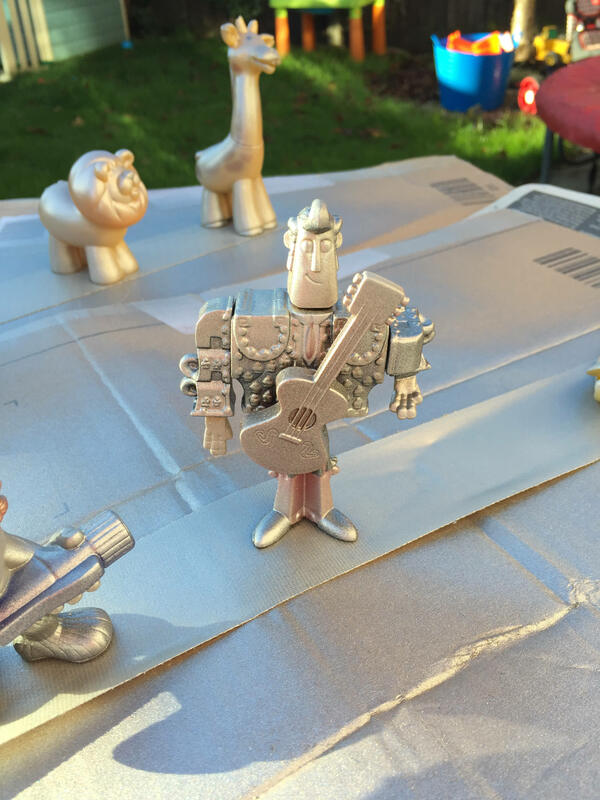 Over the last week we’ve made wreaths, a styrofoam snowman ornament, gingerbread sun catchers, Liberty baubles, apple and cinnamon muffins, upcycled toy ornaments and personalised baubles. We’re all enjoying wearing Christmas jumpers this year. I have a sparkly gingerbread man, the 4 year old has a beautiful Fair Isle patterned one and the 3 year old a sweet pink snowflake patterned jumper. That just leaves the husband who’s been feeling left out, so I’ll be looking out for one for him to wear. 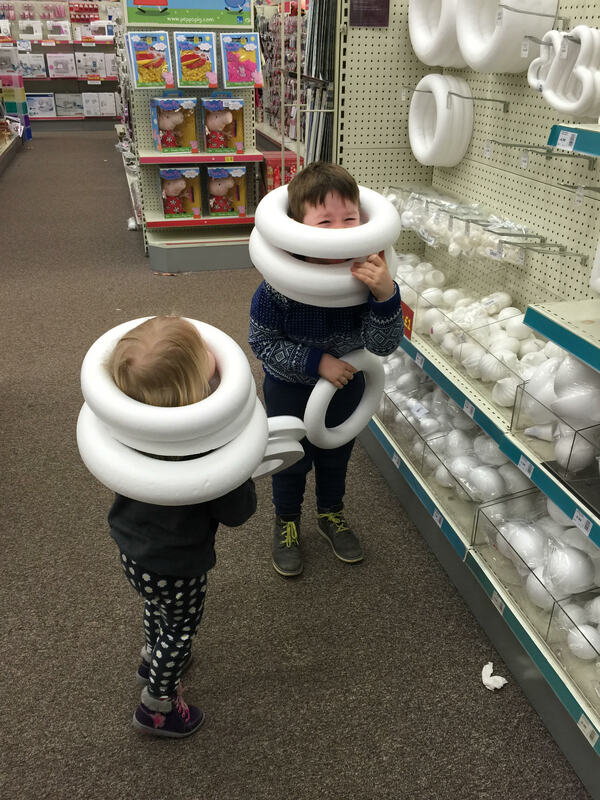 My son got stuck in some styrofoam rings in Hobbycraft yesterday. I know I shouldn’t laugh but it was so funny! He put so many rings over his head he got stuck. Of course I took a photo before I freed him but I did think I would have to cut him out and buy them all! Everyone still has coughs and colds so I’ve been carrying around some products from Jackson Reese: Nose Nuzzles saline wipes to clean noses and a Mucky Mitts spray to keep hands clean. The wipes are skin friendly so perfect for little skin, and both products were really useful when we went to a children’s party at the weekend. They are slim enough to fit into my handbag and purse friendly too. 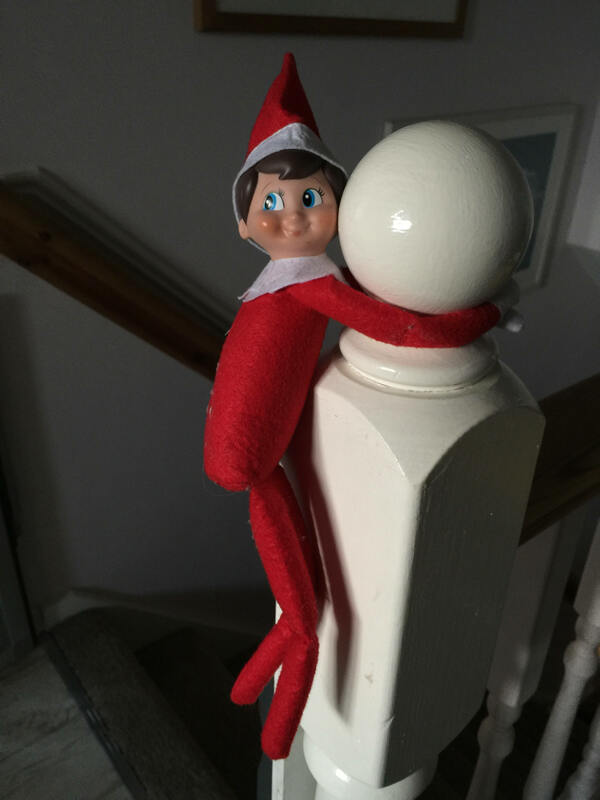 Our Elf on the Shelf has been keeping us busy, I’ve run out of places for him to hide upstairs so I he’s now downstairs causing mischief. My children find him hilarious and love the fact he moves at night when they’re asleep. It’s actually quite fun thinking of places to put him, long may the magic of Christmas continue. I love crafting and it looks like you and your son are having lots of fun.